After six years of success, it seemed that Donegan's brand of Folk Blues had run its course with the British Public. But there was a different vein of Blues ready to be tapped - the style known as Rhythm & Blues, or R'n'B, was starting to attract the attention of many UK musicians. R&B was a tag that incorporated a wide range of African-American music, and has been used to describe everything from the Electric Blues of Muddy Waters, through the Soul of The Isley Brothers and the Rock'n'Roll of Little Richard, to the smooth pop of the Tamla Motown label. And at the very start of the Sixties, the UK artist who was flying the flag for Rhythm & Blues was coincidentally also one of the country's most original and iconic Rock'n'Roll stars. 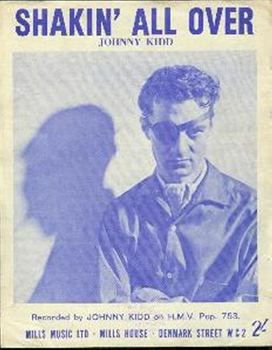 24-year old Fred Heath was quickly given an eye-patch and re-branded as Johnny Kidd when he passed a recording test at HMV, and his first release, a frantic, self-penned rocker titled “Please Don't Touch,” found its way to a promising no.25 in the UK Charts in 1959. 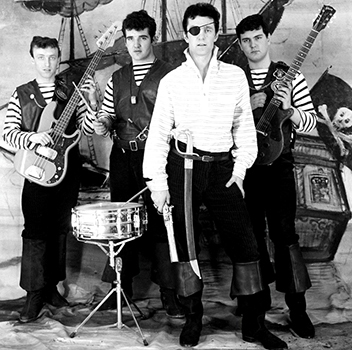 His band The Pirates, kitted out in striped matelot shirts and leather waistcoats, formed the template for the classic 'power trio' of guitar, bass and drums. 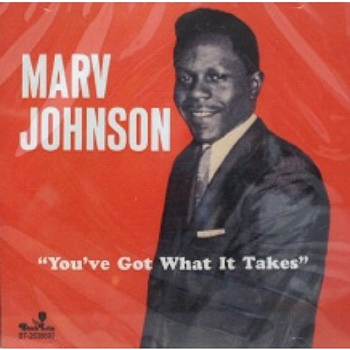 But his next appearance in the 'Hit Parade,' another no.25 in 1960, was a cover of Marv Johnson's easy-going “You Got What It Takes,” the original of which had been produced and co-written by Motown founder Berry Gordy. 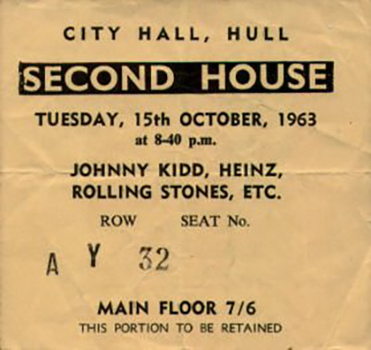 In a change of pace, it was another Kidd composition, the cool and slightly sinister “Shakin' All Over,” which took him to the coveted no.1 spot in June 1960, to remain forever a Classic of British Rock. Its moody and sophisticated follow-up “Restless” was co-written with Teddy Wadmore of the Ted Taylor Four (who, incidentally, played on Blues Incorporated's recording of “I Got My Mojo Working,” see our 'Classic Albums' section) and gave him a no.22 later that year. 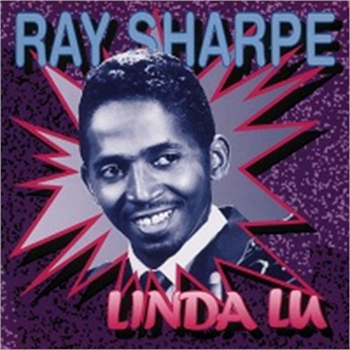 After that, he returned to American R&B to cover Ray Sharpe's rocking “Linda Lu” which reached no. 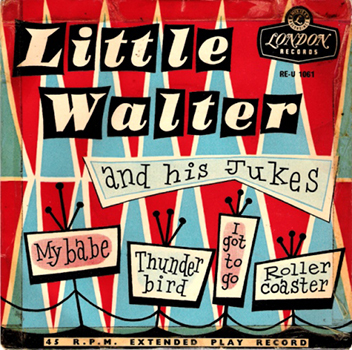 47 in 1961, and the popular Arthur Alexander's “A Shot of Rhythm & Blues,” backed with Bo Diddley's “I Can Tell,” which gave him a no.48 in 1963. But between those last two releases, the “Liverpool Sound” exploded into the charts with the Beatles' “Love Me Do” and “Please Please Me,” causing a radical shift in the dynamic of Sixties Pop. Kidd reacted to the change by cutting two Mersey Beat-influenced numbers written by Gordon Mills, who was later to become the manager of Tom Jones, Engelbert Humperdinck and Gilbert O'Sullivan. “I'll Never Get Over You” reached no. 4, and “Hungry For Love,” also covered on EP by The Searchers, resulted in a no. 20 hit. 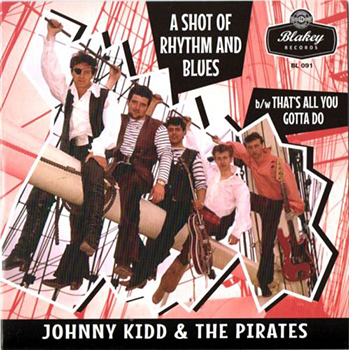 Unfortunately, after that Johnny enjoyed little chart success, though his records still showed a strong leaning towards R&B, as his B-sides featured songs like Ben E. King's “Ecstasy,” Smokey Robinson's “Shop Around,” and Piano Red's “Doctor Feelgood.” While the first Pirates went on to form Joe Meek's instrumental band The Tornadoes, the second line-up (Johnny Spence, Frank Farley and Brit guitar legend Mick Green) even issued their own R&B single, covering Little Walter's “My Babe” on one side and Johnny Otis's “Castin' My Spell” on the other. Kidd continued to tour and release singles, including covers of Country singer Marvin Rainwater's “Whole Lotta Woman” and Jewel Akens' “Birds and Bees” though they didn't do much to alter his chart fortunes. But before he could regain a footing in the the Top Forty, tragedy struck. On the 7 th of October 1966, the car he was travelling in was involved in a head-on collision in Bolton, Lancashire, and he died at the scene. 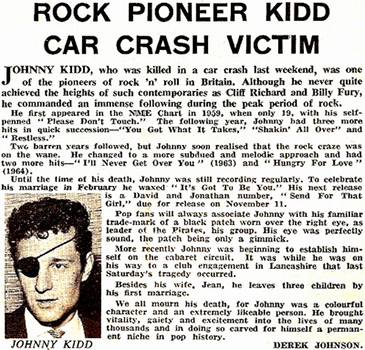 Although Johnny Kidd's still best remembered for his home-grown Rock'n'Roll, he remains one of the rare British artists who recognised the attraction and the appeal of American Rhythm & Blues before “Mersey Beat” and the “R&B Boom” of the Sixties got under way.